Have a look around at the political, religious and business leaders who affect your life. What do you see? Do you see leaders capable of inspiring ordinary people to achieve great things or do you see grey administrators detached from reality and the audience they claim to represent? Do you see exceptional leaders or very average bosses? Is the problem that there are far too few leaders around, or, as we believe, are there are many more leaders that have the qualities but are not visible because what they have is not recognised or developed as leadership. Leadership styles vary widely from the results driven, hard driving model seen in some popular culture to the assertive but non aggressive, warm, caring and concerned about the working environment approach favoured by others. Are we looking for the wrong things in our leaders? As the quality of our lives depends on the quality of our leaders, this issue needs addressing. So let’s look at our business leaders today. What could be improved-and how can the Leaders with the right qualities for today emerge? To put it simply, business has spent far too much time, money and effort developing leadership skills, rather than leadership qualities. Think of the leaders (either living or dead) that you really admire. What is it that makes them so special? We believe that the answer will be their character and qualities. Nobody remembers Churchill, Ghandi or Martin Luther King for their ability to run a good appraisal or a monthly meeting or their ability to manage their time effectively! Think of your business in the next decade – what would you rather have? 2. Leaders with an A-Z of personal qualities like approachability, bravery, consistency, dependability, empathy, fairness, grace, honesty, integrity, justice, keenness, loyalty, mental agility, originality, passion, risk-taking, sincerity and tolerance. Respect for the working and living environment, doing everything with love. •	Working with volunteers. This is a great test – unlike paid employees, volunteers don’t tolerate poor leadership. They are prepared to resist changes and instructions with which they disagree or even ignore them and, as a final sanction, they just don’t turn up the following day or week! •	Working with charities. If your management team spent 48 hours building a sensory garden for deaf-blind children, it would laugh and cry together and learn more than it did in the previous 48 months. Working together on a time limited project like this will also highlight the qualities that quieter members of the team bring with them. •	Working with challenging and demanding people like addicts and prisoners or Samaritans clients who are at the end of their tether. Key workers in demanding environments like these are also good examples of true leadership ‘in the raw’. Many would not consider themselves leaders but their service users would. •	Working together as a team on character-building outdoor exercises in the hills. It will very quickly be apparent that different members of the team need to lead at different times and will bring different qualities (and skills) to the team. Follow up in a relaxed social situation will allow the team to reinforce their dependence on each other. •	Working with Leaders or organisations that have these great qualities and modelling them. Learning how to identify what makes great leaders different will allow the modeller to embed those approaches into their leadership style and enhance it. Now is the time to set your people free so that they discover themselves and, in the process, take your business to new heights. But remember to raise the bar and set high standards. If you treat your people as you find them they will remain “as you found them.” If you treat them as they can and should be, not surprisingly, they will become “what they can and should be!” The downstream consequence of this “qualities” approach is that you will have fewer irritating bosses and a lot more inspirational leaders to help with the challenges and demands of 2010 and beyond. 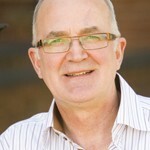 Phil Jesson is Marketing Director of The Academy for Chief Executives (www.chiefexecutive.com) and is also a speaker, consultant and coach in key account management and the 80-20 Pareto Principle (www.philjesson.com). He has worked with Pirelli, Tarmac, Grant Thornton, EDF Energy, Bass and Fedex but is equally at home in the SME market. He has recently published his first business book “Piranhas In The Bidet” which has received many five-star reviews on www.amazon.co.uk. Posted in: coaching, Leadership, Leadership Qualities, Motivation, Team Development, team motivation.